Ghana Wants Adu For World Cup? 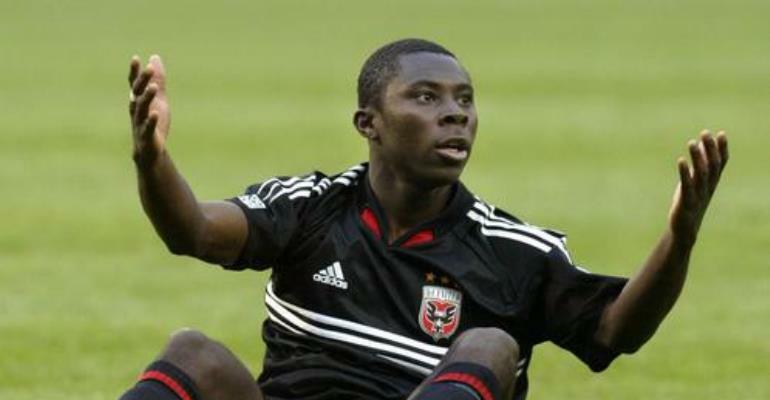 According to a Nigerian internet site, Ghanaian officials claim teen prodigy Freddy Adu will be invited to help Ghana qualify for their first ever World Cup Finals. Education, Youth and Sports Minister Rasheed Bawa told KickOffNigeria, on Wednesday, in Lagos, that Adu is "still a bonafide citizen of Ghana" and the country would fight to get him "The fact that the Americans have been profiling him on CNN and other world media does not mean that the Ghanaian Government will not fight for him," Bawa said. "Even when they themselves speak of him, they still refer to him as a Ghanaian, which means they recognise the fact the he is one of ours," Bawa pointed out to www.KickOffNigeria.com. Fifteen-year-old Adu is the highest paid player in America's Major League Soccer (MLS) despite making his professional debut only last week.